Full Professor (previous Chair, emeritus) in Distributed Systems of the Faculty of Engineering, Mathematics and Computer Science (EEMCS/EWI), Delft University of Technology. Henk J. Sips received a M.Sc. degree from Delft University of Technolgy in 1976. 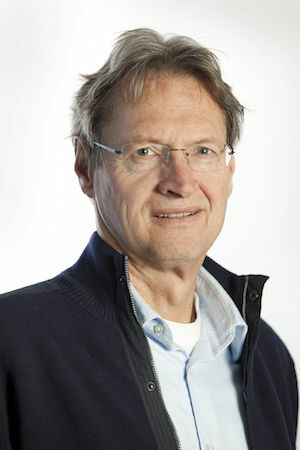 He obtained a PhD in Computer Science (parallel and distributed computing) from Delft University of technology in 1984. Currently he is full professor of Computer Science at Delft University of Technology. His research interests include parallel computer architectures, parallel programming, parallel algorithms, mobile computing, and distributed systems. Research projects he is involved in cover subjects such as language design and compiler technology for parallel systems, low power computing, mobile computing, and peer-2-peer systems. He has supervised over 40 PhD theses in these areas. Henk Sips obtained a large number of research grants from the Dutch National Science foundation (NWO-EW and STW), the BSIK program, and the EU. He participated in the Esprit programs GENESIS, PCA, Hipartool, PREPARE, and Joses and is a member of the Hipeac Network of Excellence. Currently he is involved in the BSIK research programs VL-E (grid computing), Freeband (peer-to-peer systems), Smart Surroundings (intelligent sensor environments), and ESI (embedded systems). Henk Sips authored and co-authored over 170 scientific publications and co-authored the book Computer and Network Organization. Jie Shen, Efficient high performance computing on heterogeneous platforms, November 2015 (with Ana Varbanescu). Niels Zeilemaker, Privacy and cooperation in peer-topper systems, May 2015 (wth Johan Pouwelse). Pieter Burghouwt, Detection of Botnet command and control traffic in enterprise networks, February 2015. Jianbin Fang, Towards a systematic exploration of the optimisation space for many core processors, October 2014 (with Ana Varbanescu). Rahmeez Rahman, Peer-to-Peer system design: A socio-economic approach, 2011 (with Johan Pouwelse). The research topic in the P2P-Fusion project is to support creative audiovisual activities in virtual communities. We will build a prototype system that makes it easy for the members of such communities to create, reuse, and share audio and video productions over the Internet in a legal fashion, without costly servers, and without complex central system management. The P2P-Next integrated project will build a next generation Peer-to-Peer (P2P) content delivery platform, to be designed, developed, and applied jointly by a consortium consisting of high-profile academic and industrial players with proven track records in innovation and commercial success.